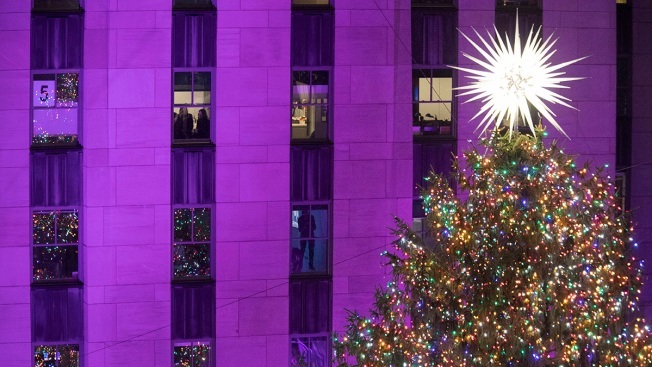 People watch as the Rockefeller Center Christmas tree is lit during the 86th annual Rockefeller Center Christmas tree lighting ceremony, Nov. 28, 2018, in New York. 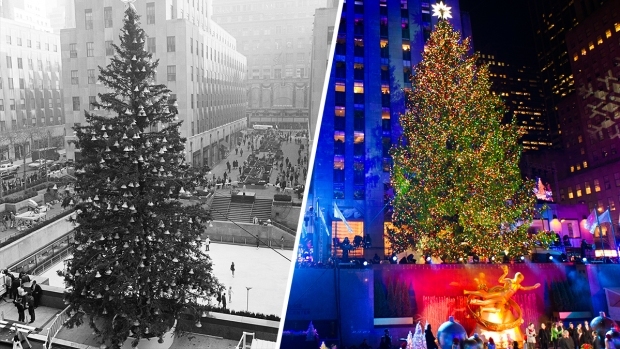 A massive Norway spruce has been lit up in a tradition that ushers in Christmastime in New York City. The 72-foot-tall tree is decorated with 5 miles of multicolored LED lights and a 900-pound Swarovski crystal star. Rockefeller Center has hosted the ceremony since 1931. Police officers flooded the area and spectators were funneled through security.